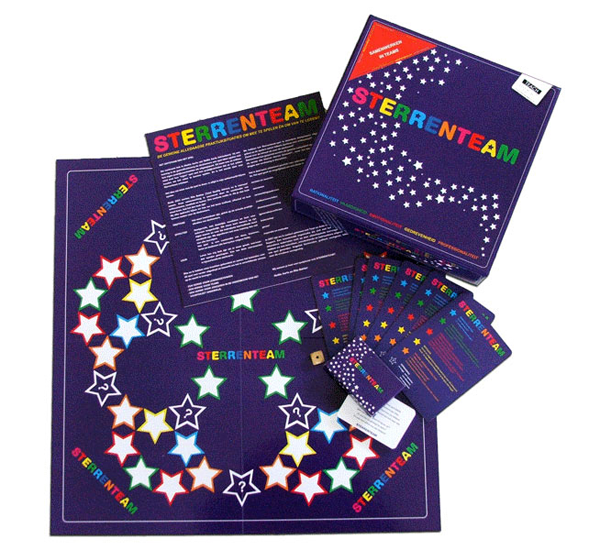 Graphic design of the game Sterrenteam. 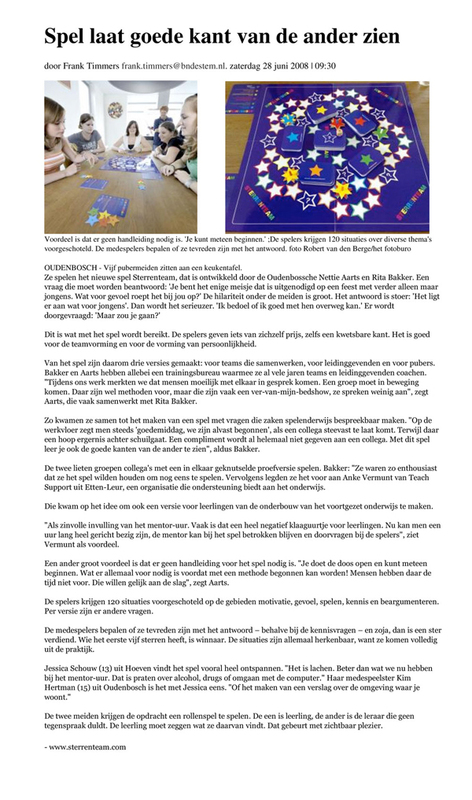 There is a version for managers, one for teams and one for pupils in lower secondary education. The object of this game is to playfully engage with knowledge and skills, but also with feeling, motivation and inspiration!